Gardner Denver and C&B Equipment hold a mutual understanding — the customer is always right. It’s our number one priority to ensure our customers are satisfied with our products and the service they received. 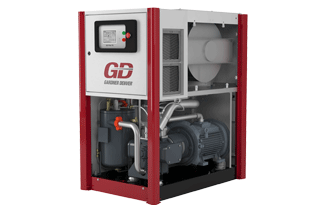 As a distributor, Gardner Denver is excellent at providing the necessary training we require to effectively sell and work on their equipment. Whether its repairs or modifications, we work together to make sure everything is working properly, in every facility, for every customer. On the chance that something does go wrong, Gardner Denver always provides outstanding technical support. If we have issues, or if one of our technicians is having issues in the field, we can always get a hold of someone at Gardner Denver to help walk us through the problem(s) at hand. Gardner Denver is also ahead of the curve as far as technology goes, constantly developing innovative ways to stay one step ahead of the competition. 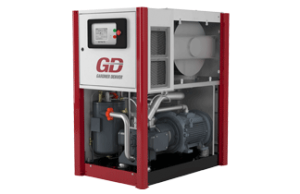 Our Enviro­Aire compressor, for instance, is a completely water-cooled, oil-less air compressor. I don’t know of another compressor company that has anything like it. It’s a unique system that has maintained a very good track record over its years in production.